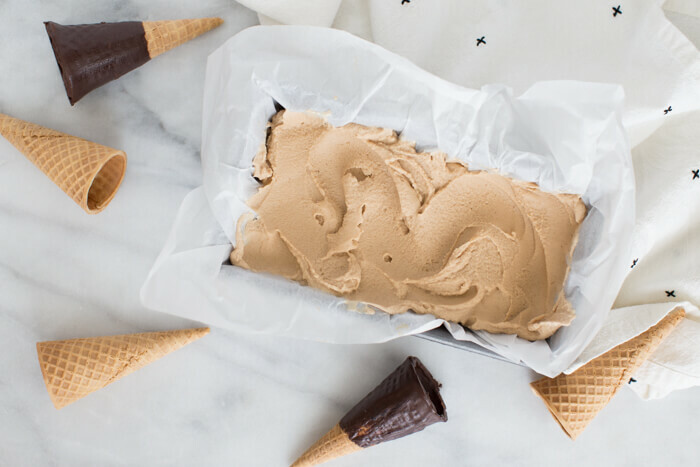 This dairy free and vegan ice cream makes the perfect sweet treat and is made with only 4 ingredients. Almond milk, cashews, maple syrup, and iced coffee! You guys, ice cream this time of year is pretty much life. 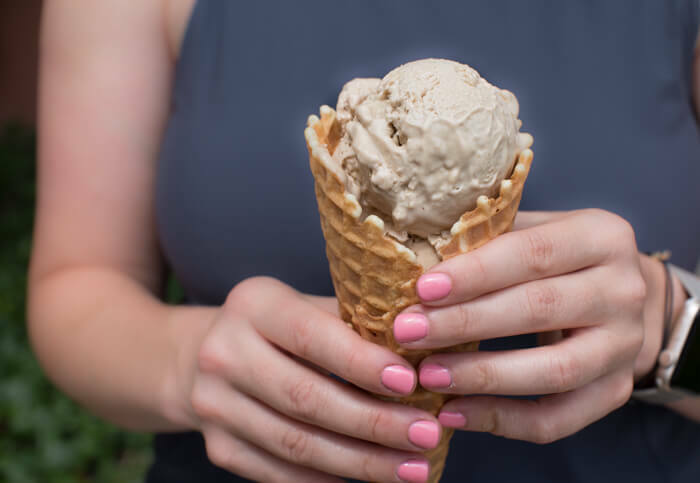 It’s so hot and this dairy free and vegan ice cream is just what you need to cool off. 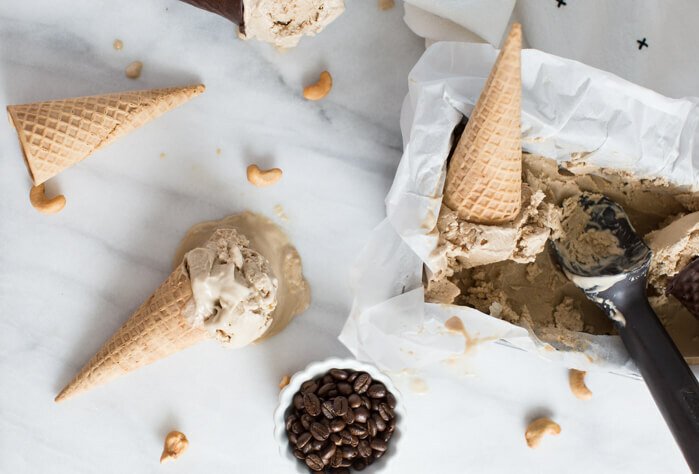 TBH I will eat coffee cashew ice cream any time of day. That’s pretty much breakfast right? I may or may not have snuck a spoonful at breakfast time. Who’s judging? I’ll take my coffee any way I can get it. And mixed with salted cashews and almond milk makes an incredible combo– it’s thick and slightly sweetened with maple syrup. Blend up this simple mixture and toss it into the ice cream maker. 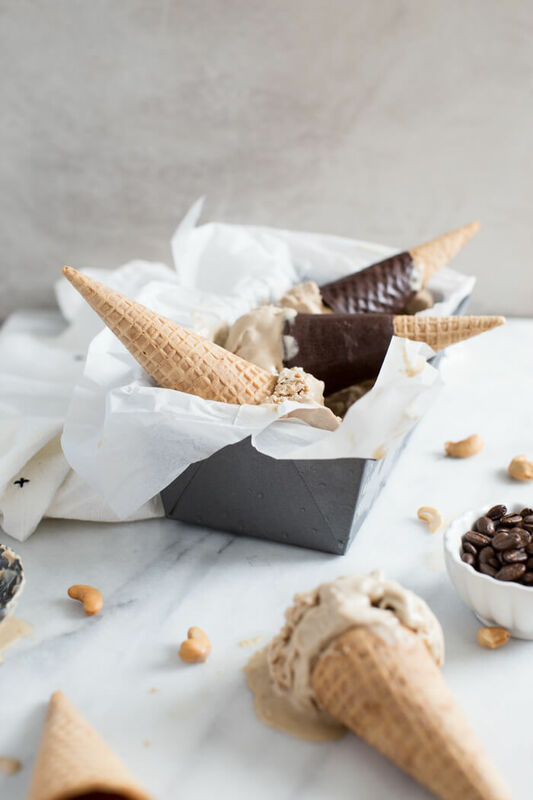 Because so many of you are loving this Vegan Cashew Ice Cream recipe, I thought long and hard and determined the recipe would be even more amazing with coffee. And my toddler agrees. 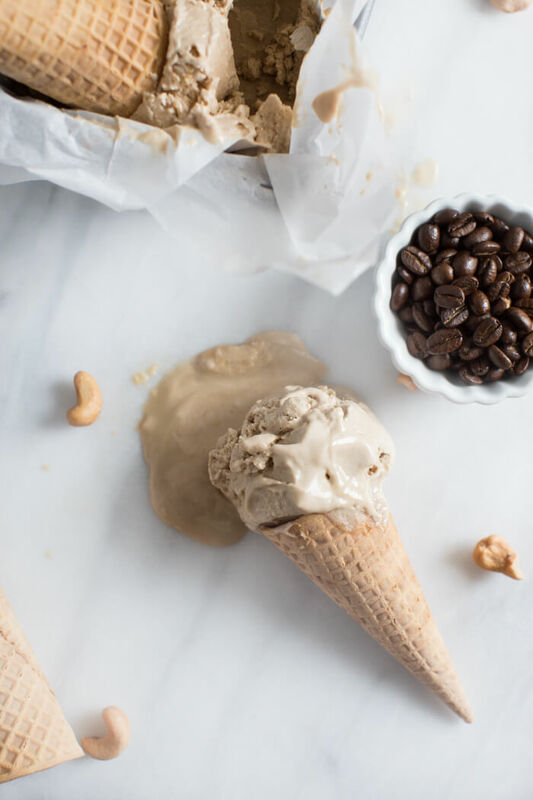 Coffee cashew ice cream FTW! Cashews are power packed with nutrition thanks for those good for you fats so you’ll feel good about eating a scoop or two of coffee cashew ice cream. If you’re caffeine-free or want to serve this to your littles sub the coffee for almond milk like I did in my Vegan Cashew Ice Cream recipe. You can absolutely make this recipe in without an ice cream maker by simply pouring the mixture into a loaf pan lined with parchment, however I think it’s even more tasty when slow churned before freezing. I’ve tried it both ways. If you are wondering what ice cream maker I use I stick with this simple and inexpensive Cuisinart ICE-21 1.5 Quart Frozen Yogurt-Ice Cream Maker (White)— no ice, salt or mess required. I just keep the base in the freezer and pull it out to churn out some soft serve whenever we are craving ice cream 🙂 It’s magic, ya’ll. We’ve had this guy forever too. Only problem is sometimes I want to make more than one batch of ice cream so I need to get an additional freezer bowl. 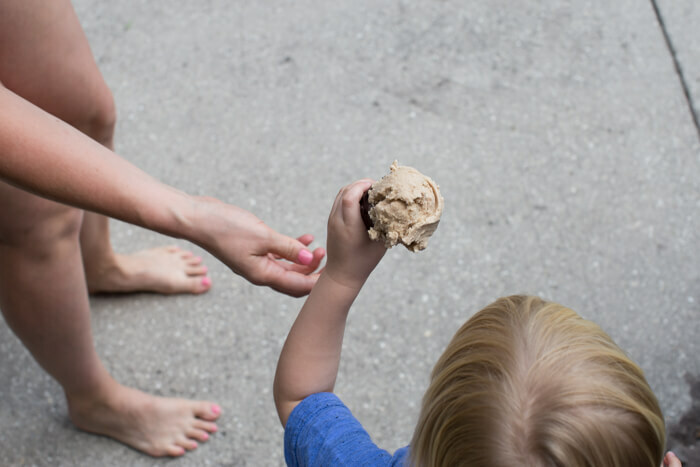 Have you made any homemade ice cream this summer? I’d love to know if you’ve ever tried vegan or cashew based ice cream? 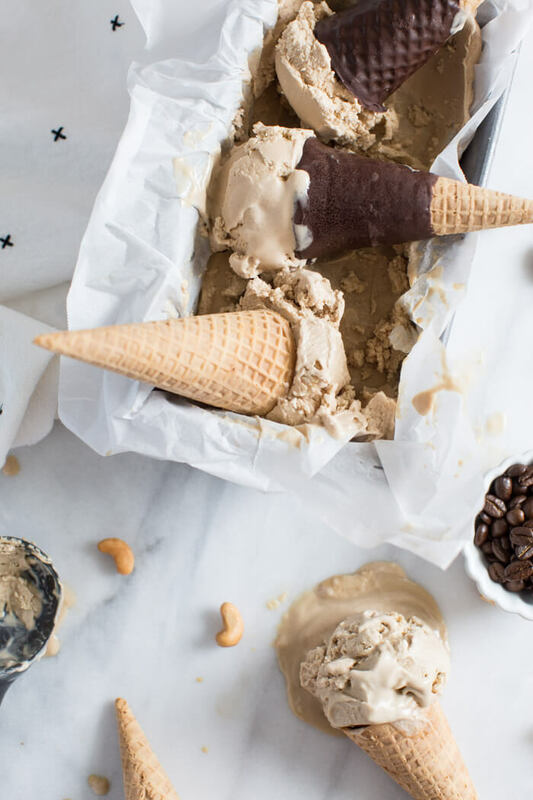 Leave a comment on this post to share and if you make this Coffee Cashew Ice Cream recipe, be sure to tag me in a pic on instagram @KristinaLaRueRD and/or use #loveandzest. Soak cashews in iced coffee and almond milk overnight. Pour soaked cashews with coffee and almond milk into high powered blender. Add vanilla extract and maple syrup and blend until mixture is smooth and very creamy. Pour mixture into ice cream maker and churn until soft frozen. Pour ice cream into freezer safe container and freeze until firm. And if you’re looking for more coffee treats be sure to check out these recipes too! Hi, how much does this yield? I’m looking at making this this week and want to make sure my ice cream maker can hold it. Thanks! I make this recipe in a 1.5 quart ice cream maker and makes 6 servings. Hope you enjoy it! 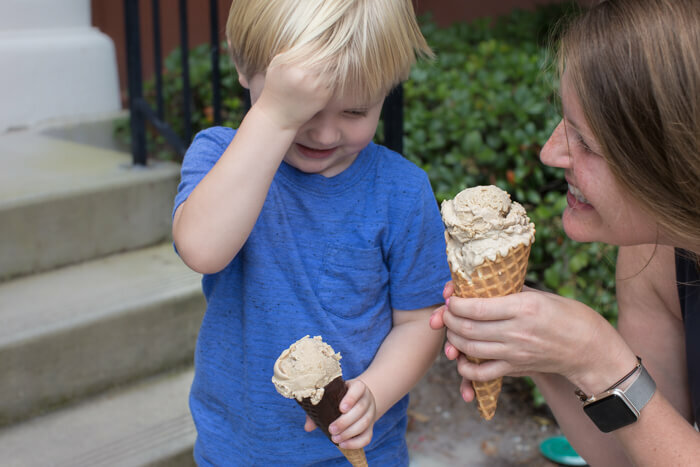 Coffee ice cream has always been one of my favorites! I’m dairy-free too so I love this. Great photos!! 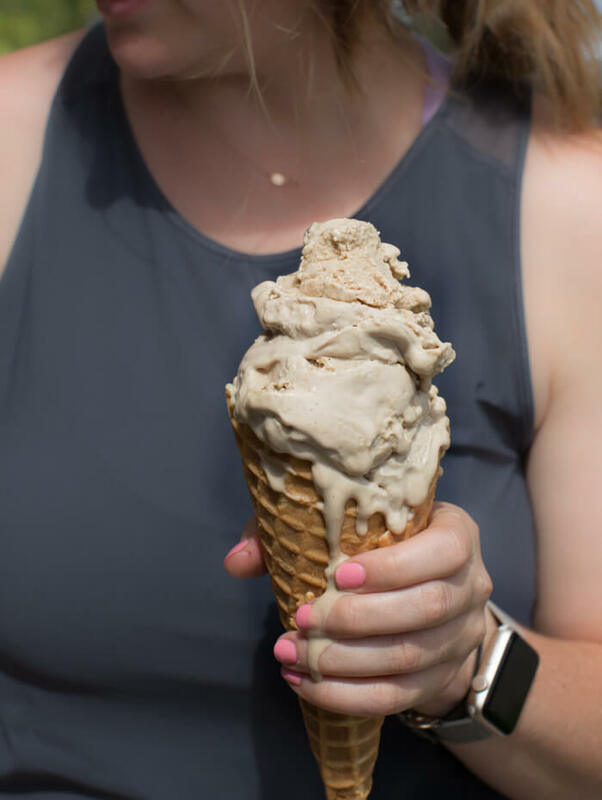 Coffee ice cream has always been one of my favorites, and I’m dairy-free so I love this!! Great photos! 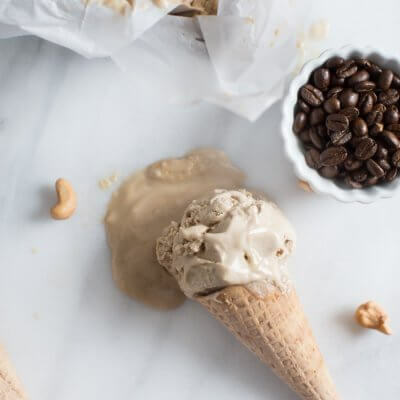 I Love coffee taste ice-cream and the fact that you paired it with almond milk and cashews is incredible. I really want to try this ice cream. This is a great flavor combination! Any way we can get coffee is a good way. I can rarely ever say no to coffee ice cream, it’s like chocolate. I bet coffee beans would be delicious in this, also! 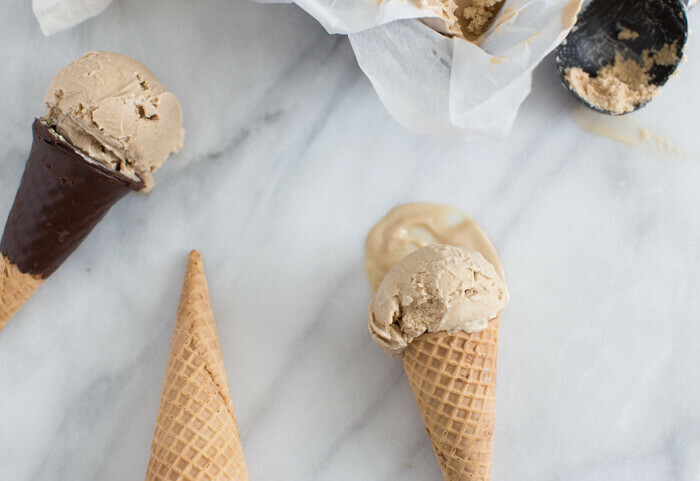 Coffee ice cream is my favorite flavor but I’ve never made my own. This recipe looks simple enough and I love the idea of adding crunch with the cashews. This is ideal for summer.